As agents, effective communication is critical to our success. Studies show only 30% of the information we receive in the context of a conversation is verbal, almost 67% is non-verbal. Humans are a very visual species. Be aware of the huge role that hidden language plays during communication. 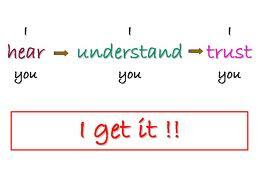 One of the keys to effective communication is understanding how others perceive us. There are 4 distinct personality styles, and some are similar and others are diametrically opposed to one another. Conflicting personality styles create misunderstanding and can lead to mistrust. Personality styles also impact how people like to buy, what I call their “Buying Style” As sales professionals, our job is to learn to identify different personality styles, understand their differences and nuances and then learn to adjust your approach to appeal to their buying style. Part of this process is education, and part is observation. Observation requires muli-tasking in an appointment. While we are talking and listening we need to train ourselves to observe our audience to pick up on physical and verbal clues to help identify their buying style. Anyone can sell to someone who shares the same personality and buying style. As the old adage goes, the easiest person to sell is a salesperson…that’s because most salespeople share similar personality traits. The question is; can you sell to the other 75% of insurance buyers? If you cannot, you are potentially missing a big piece of the pie. The biggest obstacle is ego. Strong ego’s make it very difficult for sales people to change their approach and mirror their buyer. The goal is to find out how they like to buy and then give it to them the way they want it with whip creme and cherries on top. As agents, our role is that of trusted adviser. We are consultants, and our perceived value is what we offer our clients in the form of guidance and advice. Our ability to assess exposures and manage risk as well as assess client issues and provide services that problem solve is what brings value. Our knowledge and capacity is the key. Insurance is intangible, and the insurance product is a commodity. The only sale that counts is the relationship sale. Selling at this level requires mastery of several communication skill sets. The very best in our business have learned skills that help them appeal to a wide cross section of the population. We call them chameleons because they seem to change their spots or stripes at will to get along with everyone. The truth is they have a sincere desire to “connect” and consciously or subconsciously use effective communication strategies that improve their ability to build rapport, create trust, confidence and allow them to influence others. Study: Read books on body language, personality styles and neurolinguistics. Learning the different personality styles, buying styles and motivations. Insight questions: Asking intelligent insightful questions that require serious thought and open communication on then part of clients and prospects. Active listening: The process of asking questions to ensure clear understanding is achieved by asking checking questions during conversations to verify meaning. Mirroring: Changing tone, pace, cadence vocabulary and physical gestures to mirror prospects and clients along with effective questions will build trust and rapport quickly. 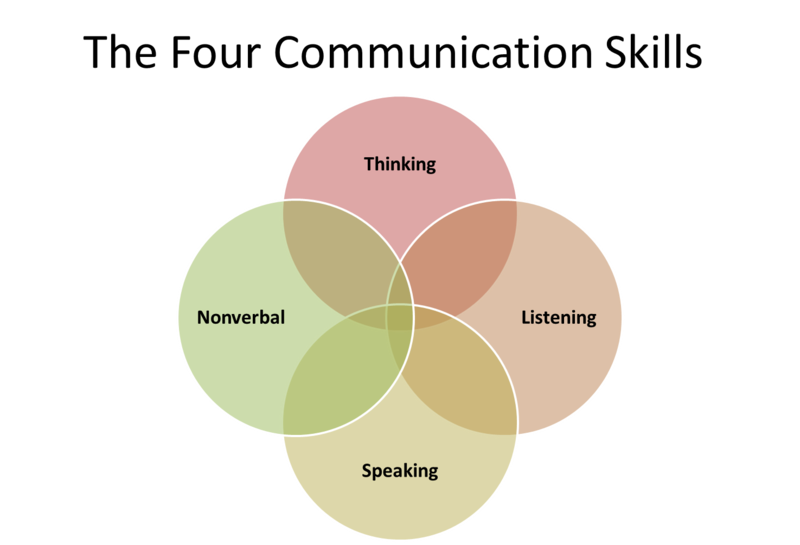 Verbal communication: Mastering questions, listening skills and succinct persuasive statements to build confidence. Written communication: Mastering written communication to save time and improve results. Less is more when it comes to effective business correspondence. emails and letters must be short, succinct and effective. A great template is : Greeting – Purpose – Needs if any – Close. Write, then cut in in half . . twice. Also, improving your vocabulary to use less words to express your self is worth the effort. Transparency: Employing honest business conversations will build trust and provide better results. business people prefer honesty and openness, and typically will respond in kind when you set the tone.